About Doctor David Hunt MBBS, FRACGP, M. Div. Doctor David Hunt is a Fellow of the Royal Australian College of General Practitioners and he has decades of experience as a medical practitioner. Dr. Hunt provides the highest level of care while delivering surgical excellence exceeding patient expectations. Doctor Hunt is supported by a dedicated and highly qualified team who ensure the utmost comfort, and superior care of the patient, in fully equipped procedure rooms at our Brisbane and Gold Coast clinics. Dr David Hunt graduated from the University of Queensland in 1986, and continued studies from 1989 to 1990, and from 1991 to 1995, earning a Masters of Theology as well as advanced medical training. Dr. Hunt has worked abroad with medical teams in the the Philippines, Cambodia and Thailand. 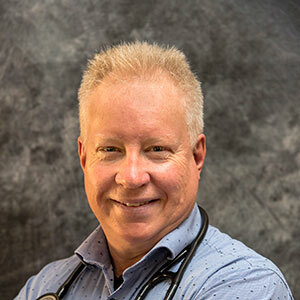 He returned from Singapore after being married to his wife Frances in 1995, and has been involved in general practice in Brisbane since that time, obtaining his general practice fellowship in 1995. Doctor Hunt and his wife have 4 children, making quite a dynamic family. Doctor Hunt loves to spend his spare time boxing, doing Tae Kwon Do and open water diving. He is also involved in a number of charities. Doctor Hunt has been chairperson of the board of Teen Challenge Queensland is currently a board member of Hope Services, among other community activities. Member of the Board – Hope Services – an organisation that runs inner city programs in Brisbane for the unemployed, homeless as well as more board based counselling services. Doctor Hunt has chosen to make No-Scalpel Vasectomy for men & Circumcision for all ages the primary focus of his clinic. Dr. Hunt is offering his patients techniques that are highly advanced, minimally invasive and have been performed on over 50,000 patients in Australia, Canada, and the USA. With his experience and background, Dr. Hunt is convinced that the Pollock Technique™ circumcision with its four-step pain control protocol is the most effective and painless method available. He performs Pollock Technique™ circumcisions on infants, babies, boys, teens, and adult men. Our Brisbane circumcision clinics serve boys and men of all ages.